Amid the modern, Darwinian scientific world, Christian scientists often have to hide their beliefs or risk being ostracized by their peers. Therefore, it is difficult to find books, articles, and resources written by prominent Christian scientists. 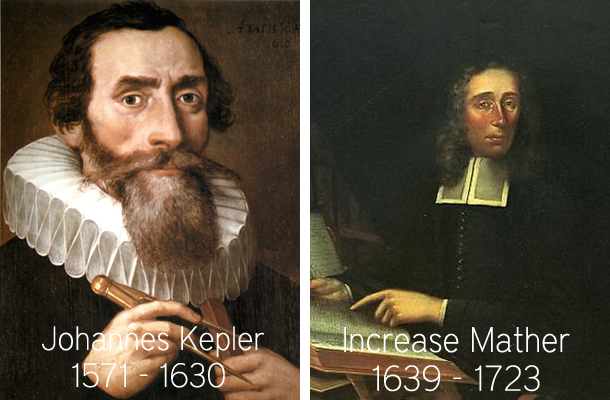 This article will spotlight several well known, but long-deceased scientists who specialized in astronomy and were vocal about their Christianity. While the denominations and doctrinal beliefs of these men vary, one thing is for sure —they were believers of Jesus Christ. Each sought diligently to apply the Bible to their scientific studies. eight Christian scientists pictured in this post. Johannes Kepler was born in 1571 in the Stuttgart Region of Germany. Best known for his contributions in astronomy, he was very outspoken over his defense of the ideas brought forth by Copernicus. 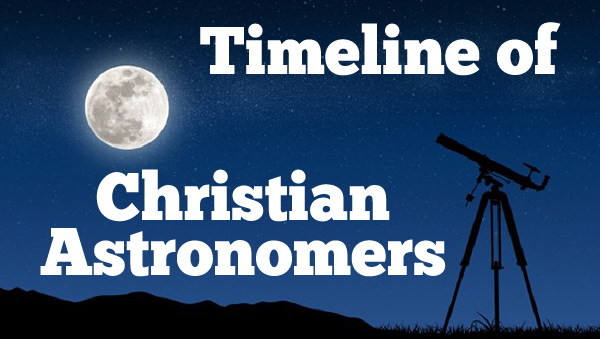 In addition to being recognized as the founder of celestial mechanics (planetary motion), he discovered that the tides were caused by the moon, used stellar parallax to measure our distance to the stars, and derived what is now accepted as the birth year of Jesus Christ. Increase Mather was born in 1639 in the colony of Massachusetts. He was most well known for being one of the early Presidents of Harvard University. In his writings and speeches, he cautioned his readers not to mistake the purely natural for the supernatural, and he had a strong role in the Salem Witch trials. He was a avid astronomer in his free time and encouraged the study throughout his colony. He wrote a number of papers on comets. Sir Isaac Newton was born in 1642 in Lincolnshire, England and is one of the most recognizable names in the scientific field. He was a mathematician and physicist who discovered the laws of motion, the law of gravitation, and the field of calculus. His contributions to astronomy were vast, including discovering the colors of sunlight, and inventing a reflecting telescope. Sir William Herschel was born in Hanover Germany in 1738, but spent his adult life in Berkshire, England. He is most famous as the discoverer of the planet Uranus, two of its moons and two more moons of Saturn. He is also known for his work in categorizing galaxies and nebulae, using a very impressive homemade 40-foot telescope. 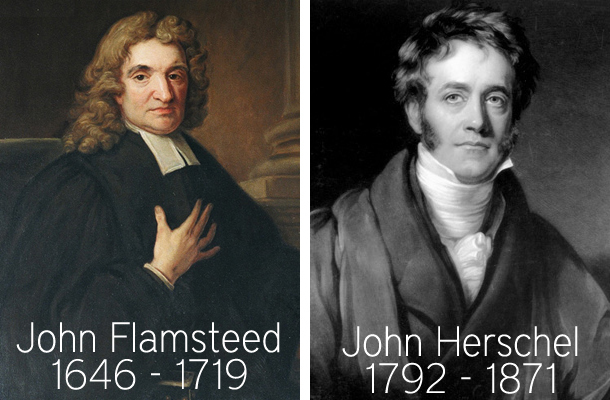 John Flamsteed was born in 1646 and was the very first Astronomer Royal of England. Astronomer Royal is a very elite position in the Royal Households of the United Kingdom. Astronomer Royal was Director of the Royal Observatory in Greenwich. In his life, Flamsteed cataloged over 3000 stars, calculated solar eclipses, and even has an asteroid and a moon crater named after him. 1st Baronet John Herschel, was the son of Sir William Herschel. 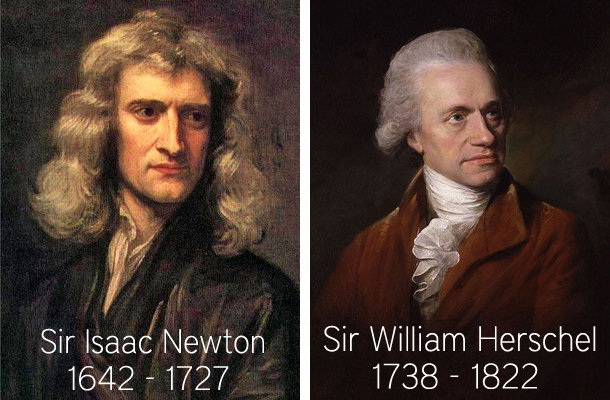 Born in England, in 1792, John was an all around master scientist. He dabbled in mathematics, astronomy, chemistry, photography, and botany. His contributions to astronomy include the discovery of over 500 new nebulae, originating the Julian day system, and naming eleven moons. 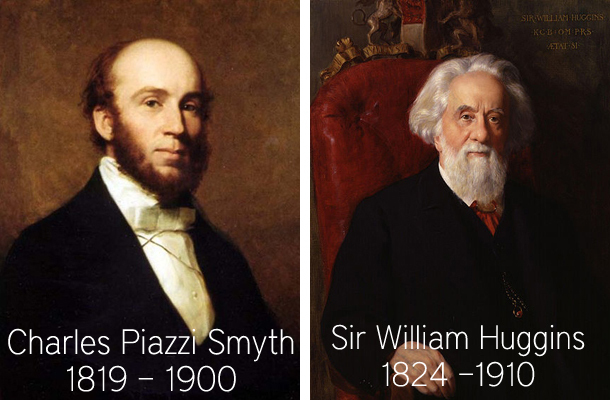 Charles Piazzi Smyth was Astronomer Royal for Scotland. Born in 1819 in Italy, he was raised in England. He became a professor of astronomy at the university of Edinburgh and published a number of important scientific papers on astronomy and meteorology. Sir William Huggins was born in 1824 in London, England. Through his own privately built observatory, he made a number of important discoveries, including the fact that stars are made of hydrogen. He also made the distinctions between nebulae and galaxies.